If you’re not sure, it doesn’t matter how many people try to reassure you that you’re on the right track, you just won’t be convinced. And if you are sure, it doesn’t matter how people try to dissuade you, you won’t be distracted from your goals. Stop trying to find people who will pat you on the back and say that everything’s going to be OK.
That voice inside your head is overpowering them all. And don’t you dare pander to the critics, watering down your ideas for the sake of temporary popularity. Because that same voice knows that they’re wrong. 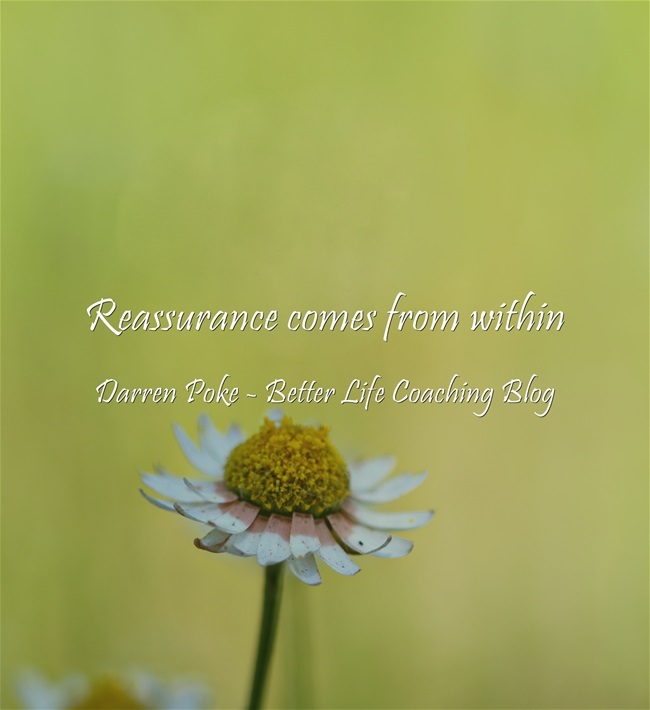 Remember that reassurance comes from within. It comes from the place that understands you, discerns your motives and knows what you are capable of. It comes when you constantly remind yourself of your value, your positive attributes and the plans and purposes that God has for your life. So if you need convincing about the quality or viability of your work, start with an honest conversation with yourself about how talented and capable you really are.